For the first time in a long time the Black Friday Air Jordan release is set to be a brand new colorway. 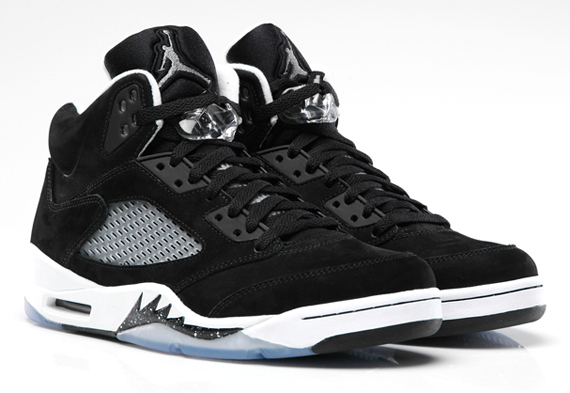 That colorway is the Air Jordan 5 “Oreo” that stays pretty muted thanks to a simple black/cool grey/white combination. In fact, the only real inkling of color that does show up is via that slightly blue icy outsole on bottom. As you can see Jordan Brand’s prepping plenty of gear to go along with the Friday release lest you be without matching apparel for your new pickup. Continue reading to see more official imagery on the new Air Jordan 5 “Oreo” and tell us in the comments if you’re planning to purchase.